In 1994 my then future wife and I was driving from New Hampshire down to South Carolina in November. There were no cell phones so I took along a portable CB radio which plugged in the cigarette lighter adapter in my car and had an antenna which magnetically mounted to the roof. Somewhere between New York and Pennsylvania the elevation increased and the highway became a sheet of ice. It seemed to happen instantly with no warning. An 18-wheeler jackknifed in the middle of the highway and we even saw a State Trooper stuck in a ditch. The road was very dangerous and we wondered how far it would be to an exit where there would be a hotel to stop. The traffic inched along slowly and up over the next bend was an exit and a gas station. We pulled into the exit and made it to the gas station. I filled up the car and got out the CB. I plugged it in, attached the antenna and stuck it on the roof. Tuned into channel 19 and listened to the truckers. We wanted to get some news on on road conditions, salt trucks and possibly where there may be another exit with a hotel. I called out and said we were on exit 68 and needed to know how close a hotel was. Guy came back and said next exit had one – approx 3 miles away. We saw a salt truck drive by and we got back on the highway and slowly made it to the next exit. The bottom line: I was glad to have that CB. I looked like a hero to my then-girlfriend who had teased me for having brought it. Back then there was no GPS and few people had cell phones. 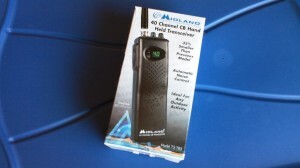 I recently just picked up a Midland 40-channel Handheld CB radio. Along with it I bought a car rooftop antenna and an adapter to connect the antenna to the handheld. Reason? Setting up a small community communication plan. Each car in my family will have one of these and will be able to communicate with my home base station. Rourke, it is funny you did this post I just got the speaker and mount for my CB so I can install it in my truck. Great minds do think alike. I am also going to by several handheld units for moving about. I also have plans to make my own base station in a large pelican case along with a ham radio and a good power supply. Communications is so vital to survival. Keep the great posts coming brother!! Thanks for the comments. I have my HAM but need to learn how to use it – even for just monitoring. Will post more on the whole CB thing later. CB was our first communication plan as well, and it has many benefits still I think. A couple cheap handhelds, a mobile, and a 50w linear amp are still stored away – just in case. Tried switching to GMRS/FRS, but could never get decent range on the handhelds here in the rolling hills/woods. The 50 watt GMRS base stations are costly too. When I heard about the Dakota Alert MURS motion sensors about 4 years back, decided to switch yet again. Still getting everything squared away, but we’ve got 3 motion sensors, a Dakota Alert HT and base, 3 Puxing-777+’s, and two Yaesu FT-2900’s. Very happy with this setup so far, both for range and being able to monitor the motion sensors while walking around or in the vehicles. The Puxings and the Yaesus xmit and receive 136-174MHz, so MURS, marine, VHF business band, 2 meter ham, NOAA, and police/fire are all inside their bandwidth. Obviously, some serious homework and caution is required with this setup – or you risk getting a visit from the FCC. Wow! I have an almost identical story. I was driving from Ohio to the West coast for Christmas in 1978. Back then I used to drive straight through without sleeping, 30 hours on the road and I covered 1800 miles. Anyway I was coming out of Colorado into Utah leaving one mountain pass heading into another at 2:00 AM when I noticed the traffic was stopped ahead on the long upgrade. Turned on the CB and the truckers were saying the road was a sheet of ice with trailers jack knifed and it was a hopeless mess. Just then the exit was coming up and I took it and found the only motel in the small town and got the last room. Woke up the wife and two kids who slept through the whole thing and we all had a safe place to stay the night. Now-a-days driving 12 hours seems like a big deal. Back then I would drive for two days and sleep 8 hours and drive another two days. The worst thing is to be heading East when the sun comes up and you’ve been driving for 24 hours straight. The sun actually hurts your eyes and they water and you can’t see. Must be mother nature’s way of telling you you are stupid. Great story. Another case with having a communication tool like a CB is very helpful. 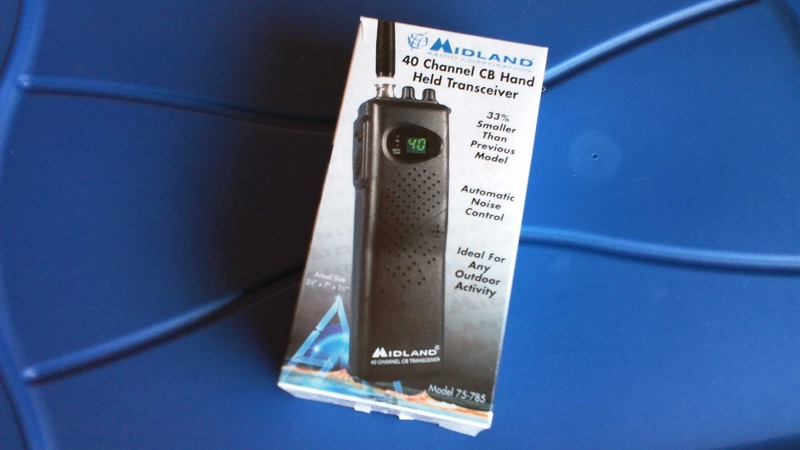 I have a pair of those handheld CB radio that I bought some 10 years ago. They were cheap at the time. Might have been because the distance they could reach is two miles and those new little “fit in the palm of your hand types” used less batteries and covered more distance. I currently have them in my truck for the “Just in Case” moment as well. Cheap is good – giving you two miles is even better. Good story Rouke. I recently got a ham license for similar reasons. In a post TEOTWAWKI world, even if just temporarily like a tornado, information is power.